"Max in a Taxi" is a short comedy, included in our program to illustrate the work and contributions of our star Martha Mansfield. It was her third film ever, and her last of three films with Max Linder for Essanay Studios. Martha Mansfield was 17. 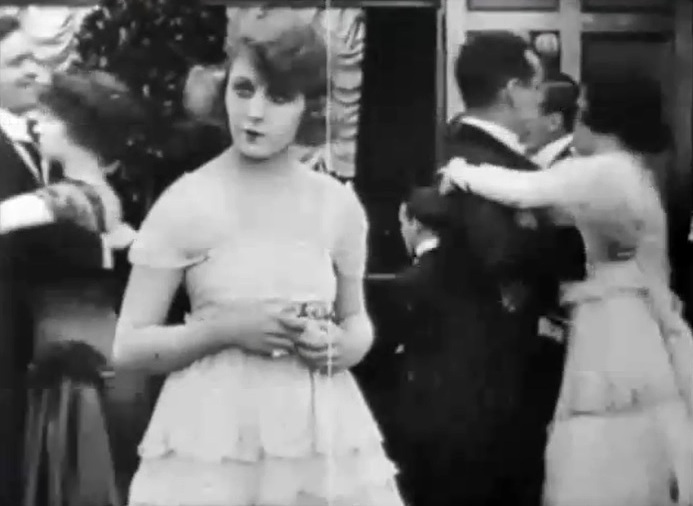 Martha Mansfield is alone at the party in "Max in a Taxi" (1917). Martha Mansfield considers her options in "Max in a Taxi" (1917). 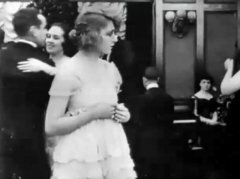 Martha Mansfield has an inspiration in "Max in a Taxi" (1917). 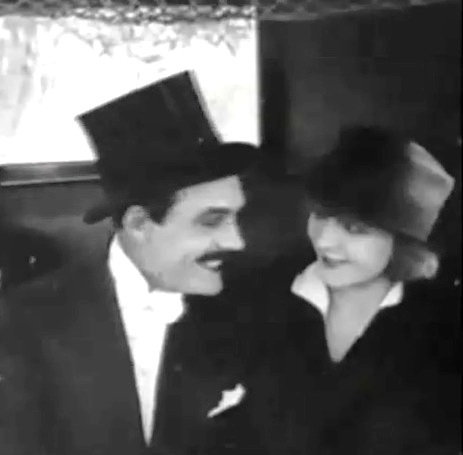 Martha Mansfield approaches Max Linder in "Max in a Taxi" (1917). 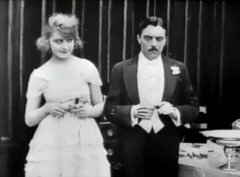 Martha Mansfield waits, but Max Linder has his mouth full and can't talk in "Max in a Taxi" (1917). Martha Mansfield waits for some attention, but Max Linder gives her none in "Max in a Taxi" (1917). 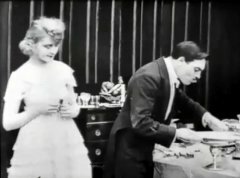 Martha Mansfield doesn't give up as Max Linder grimaces in "Max in a Taxi" (1917). Martha Mansfield takes charge and invites Max Linder to dance in "Max in a Taxi" (1917). 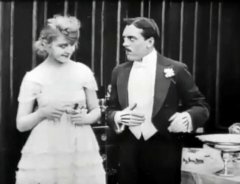 Martha Mansfield insists when Max Linder tries to say 'no' in "Max in a Taxi" (1917). 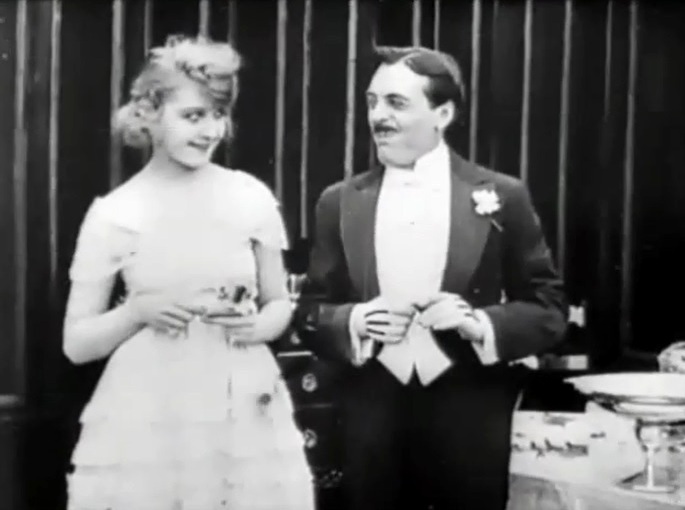 Martha Mansfield and Max Linder meet again in "Max in a Taxi" (1917).